Does exactly what it says-Kills all smells! A very powerful deodriser, known for its' ability to kill even the strongest smells and creates a dry, safe, healthy environment by reducing moisture. It helps eliminate ammonia and reduces the risk of bacterial and viral respiratory contamination. 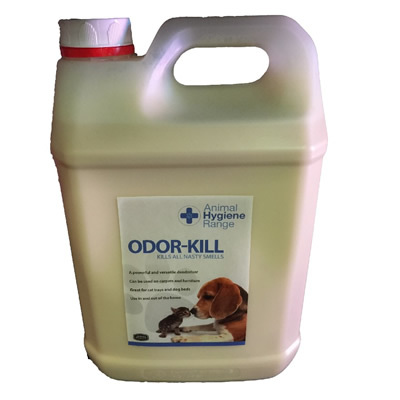 Odor-Kill can be sprayed wherever smells persist such as kennels, catteries, stables, homes and gardens.